Prominent & Leading Service Provider from Surat, we offer Sublimation & Printing Services such as Paper Sublimation Services and Digital Printing Services. 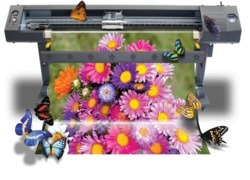 Owing to years of experience in the industry, we offer our clients Digital Printing Services. These are develop for the advertising purposes and are highly demanded due to their punctuality. We use advanced equipments in completion of these services to render Maximum client satisfaction. Additionally, we offer our services at economical prices.